One of the questions I am most commonly asked is, "What do you eat / snack?" I am not surprised as that is probably also the question I want to ask most people myself. While I have shared a guide to meal planning on the blog before, today I am talking specifically about snacks. I am someone who enjoys having snacks way more than big meals. Which also means that I need to make healthier choices more often during the day while keeping it fun and interesting. One of the challenges for me personally is to have enough options. After having the same things (fruits, popcorn, veggies with hummus, and nuts) over and over again I get bored and tempted to resort to unhealthier options. Hence, I had to try harder and find creative ways to keep my clean eating exciting with the help of Sejoyia Coco-Roons. I have switched chocolates with dark chocolate covered almonds, or a key lime pie with key lime pie flavored yogurt, and granola bars with organic mixed nuts and seeds bites, and potato chips with cauliflower puffs. While all the options might not be available everywhere, but I am constantly looking for healthier and cleaner alternatives. I have a serious sweet tooth and with every passing year the craving are getting stronger. Hence, I have to find foods such as Coco-Roons which would satisfy my craving without setting me back on my clean eating. 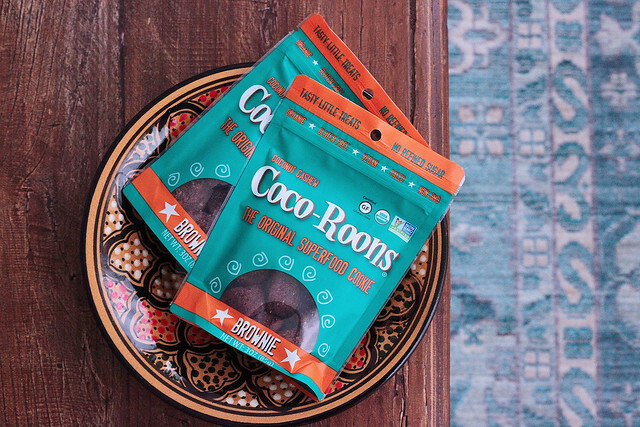 Coco-Roons which come in brownie and lemon flavor, are a delicious healthy snack alternative which I found at Walmart in the gluten-free section. The brownie flavor is made with finest raw cocoa and has a rich flavor and the lemon flavor is light and refreshing which tastes like an Indian dessert - Ladoo, made with coconut and cashews. The best thing I liked about them is that they practically have covered all grounds - They are organic, gluten free, vegan, paleo, non-GMO, have no refined sugar as they are sweeten with pure organic maple syrup and are 100% wind powered. 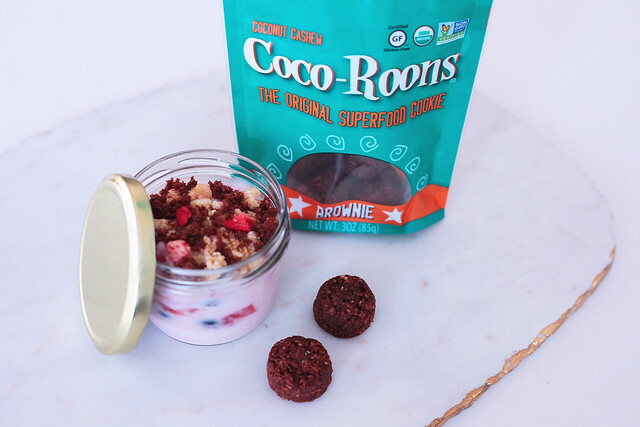 Coco-Roons are made with a handful of ingredients that you know, and can pronounce which also provides a nutritional value. Having a bag handy in my car or bag for in-between meetings is the only way to ensure that I am able to kick cravings in a guilt-free manner. Another new trick I have been applying is experimenting in my own kitchen and creating new ways of consuming the snacks I already enjoy. 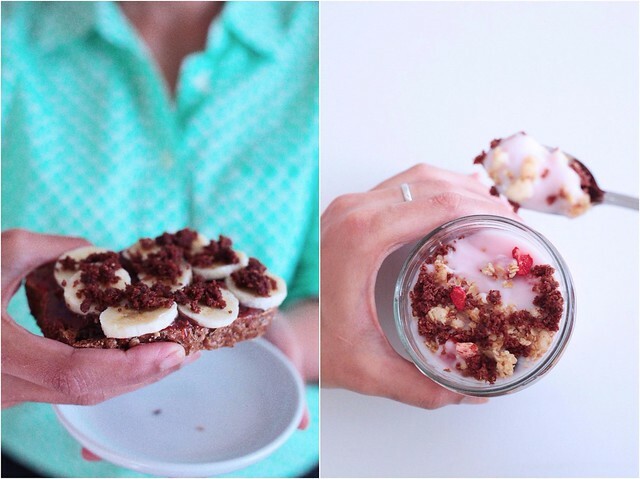 For example, having the Coco-Roons crumbles over my protein toast + banana or with my strawberry parfait. Or using last night's left overs and baking them into a snack size bites, or switching the ingredients in my smoothie to keep it fresh and exciting. By no measure I have it all figured out but I am constantly finding new ways to stick to my clean eating. I have one of those bodies where even an ounce of extra indulgence shows. Also, I feel better about myself, my productivity is higher, and I am focused when I have my food for the day in order. If you too would like try Coco-Roons then you must take advantage of the $0.75 off ibotta offer when you purchase 1 Sejoyia Coco-Roons at Walmart, while supplies last! Also, get an additional $.50 for redeeming the rebate on 3 different shopping trips! How Do You Keep Clean Eating Exciting? 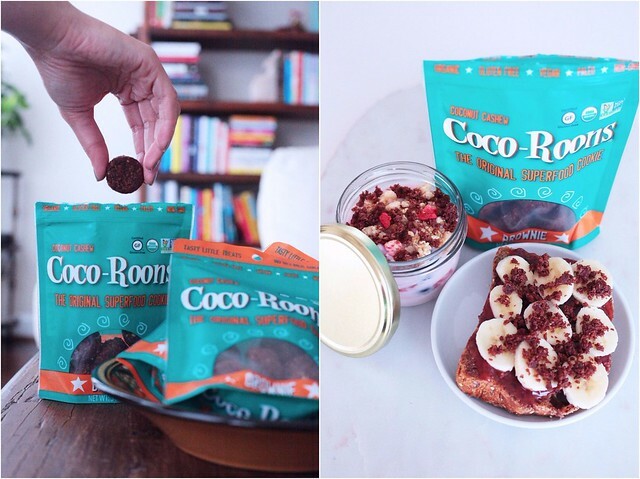 Coco-Roons looks absolutely delicious, I am so bad at cleaning eating especially when it comes to snacking. These are great alternatives for eating clean. Very useful information for anyone trying to eat clean. I've never heard of Coco-Roons before but I am curious about them. I have to go by Walmart today so I should pick up a package to try! I havent tried these yet. Looks yummy crumbled over yogurt! Whoa it's hard to believe that it's healthy! Everything that you put it one looks delicious! I wonder where I can find these - they really look delicious! This look so delicious!These are great alternatives for eating clean! I love it "ingredients you know and can pronounce"! I am using the ibotta offer and going to get these now! I've never tried this before. I need to! Everything looks amazing. It would make a great snack--I don't clean eat! These Coco-Roons look yummy! Thanks for the ideas on how to eat healthier. We try to limit processed foods and enjoy fresh alternatives. I'll have to look for these. I'm always on the lookout for tasty, gluten free snacks. I'm struggling with trying new ways to change up my clean eating routine, so I'm always on the look out for fun healthy snacks and food to add to my routine. These coco-roons look so yummy! I love that you broke them up so that they could be a topping to other food. Love your ideas. I enjoy clean eating, but haven't been able to keep it up as much while I'm traveling. Your post has inspired me to get back in the groove! Thanks! Mmm...mmm...mmm...Coco-Roons, here I come! Thanks so much for the clean-eating snacking inspiration. I agree with you. I do get bored with the same snacks and I really love snacking. I try to switch from week to week. Every week I switch muy fruit and raw veggie. I've never heard of Coco-Roons before but I am curious about them. Will defiantly be keeping my eye out for them in stores! Great advice - somehow I never thought to just find healthier alternatives to my favorite flavors by just replacing the carrier of the flavor with something else! Lemon flavor, brownie flavor is all I needed to hear. I try not to snack a lot so if I feel the urge it would be nice to have a healthy choice. The versatility of adding it to other snacks is nice too. Desserts tend to be a crowd favorite in every household. No matter what special desserts you like odds are, you're open to an array of sweet desserts. We try to experiment lots of sweets, but often fall back to some familiar snacks. These look wonderfully delicious and not overwhelming. I have never heard of these before but they look yummy! Especially in yogurt! I never even for one second think clean eating is boring. I love it and I think it's because well, I am lucky that I adore salmon but secondly, I THINK OUTSIDE OF THE BOX. All too often people think clean = boring because they think of no flavor and bland, which doesn't have to be the case with clean eating! Clean eating is something very hard for me. I am very glad to have read your tips. Will give it a try again and keep these in mind. I love your emphasis on finding alternatives to the food you like. I find it hard to go healthy all the way, but sometimes it's all about choices. Coco-Roons on the other hand, looks delicious. if it's a superfood, it ought to be packed with goodness. Cheers!! YOu have used the coco roons to perfection. Guess its time I experiment with those on the cakes i make at home. Could turn out well !!! These snacks just look extra yummy!! Cannot get anything like that where I live - my I try to make healthy stuff in my own kitchen! Thank you for the alternative snacks. I really get bored with the same foods! I keep clean eating exciting by adding different flavors and switching up my meals! I've never heard of this before but it looks absolutely delicious! I have been looking healthier snack options and this looks like the perfect fit. I've always believed that healthy snacks would be boring but this is the complete opposite. They are all great tips. Experimenting in your kitchen is always better! Even though you might not be making something healthy, it will still hold less fat than a ready made meal! Okay, I need to try these. They seriously look like such a tasty snack. I snack on veggies in order to keep from eating unhealthy food. Yum... I must try these! They look like such a tasty snack! I've never tried this before but it looks so good. I love a good yummy snack and this is right up my street. Yum! Never heard of this before, but looks really good. I try to eat healthy, it's hard work! Thank you for sharing these tips. I am trying to get back to eating clean. 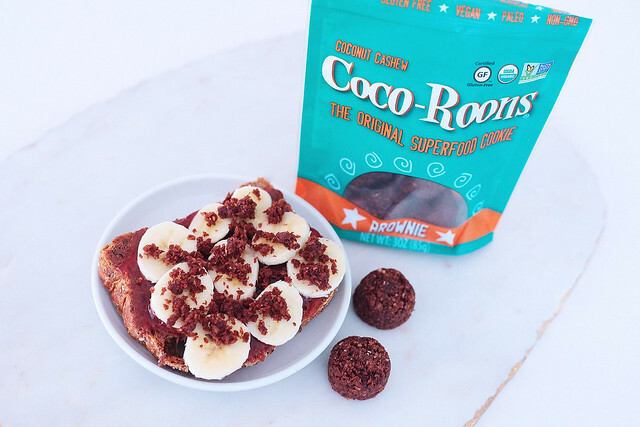 I love coconut tasting snacks and this is something to try! It also looks very yummy and I'm sure the kids will also love it! I love all of these ideas! Playing around in your kitchen is definitely fun and it keeps things varied. I have started to eat clean a while ago and it made a huge difference in the way I feel. I do struggle with snacks though and I usually choose fruits when I crave for something sweet. These coco-roons sound very tasty though. i love these but i've never tried mixing them with other things! going to have to give it a go! I was tell ppl to replace the unhealthy food with healthy food. No need to starve yourself. With that mentality, eating healthier is easier.